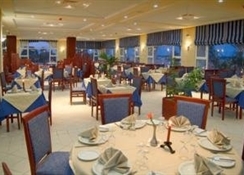 The complex offers guests 138 fully equipped rooms in a typical Tunisian style, a restaurant and numerous activities. Guests are welcomed into a lobby with 24-hour reception and check-out service. 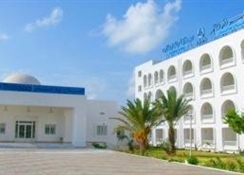 Facilities include air conditioning, a hotel safe, cloakroom, newspaper stand, kids' club, bar, disco, laundry service and bicycle hire.The hotel offers air-conditioned rooms with a private en suite bathroom with shower, bath and hairdryer. Each room also comes with a balcony overlooking the garden or Mediterranean Sea, a satellite TV, double bed, Internet access, a safe, minibar and central heating. 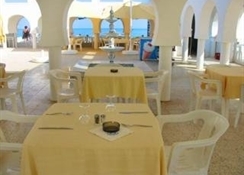 Guests are invited to take advantage of the hotel's activities including bocce, table tennis, tennis and volleyball, or they can relax in one of four swimming pools including an open-air thermal pool, an outdoor freshwater pool with children's paddling pool, an indoor freshwater pool and a saltwater pool. It has a private beach and guests have access to the hotel's thalassotherapy spa centre. The hotel has a disco. Guests can also go waterskiing, windsurfing, banana boating and catamaran boating. The nearby beach is sandy.